Face it, it can be a dangerous world out there. And sometimes that danger can come to you, in what is supposed to be your safest of places - home. In most jurisdictions in the US, we have the option of employing deadly force in the defense of our domicile. There’s a whole bit of legal folderol involving that, sure, but the short answer is, that if someone has forced their way into your home, and you don’t want them there, you can use force to stop the threat, either by causing them to flee, or by neutralizing them. The nitty-gritty of that act is best left for a separate article. The long answer I’ll be detailing below. 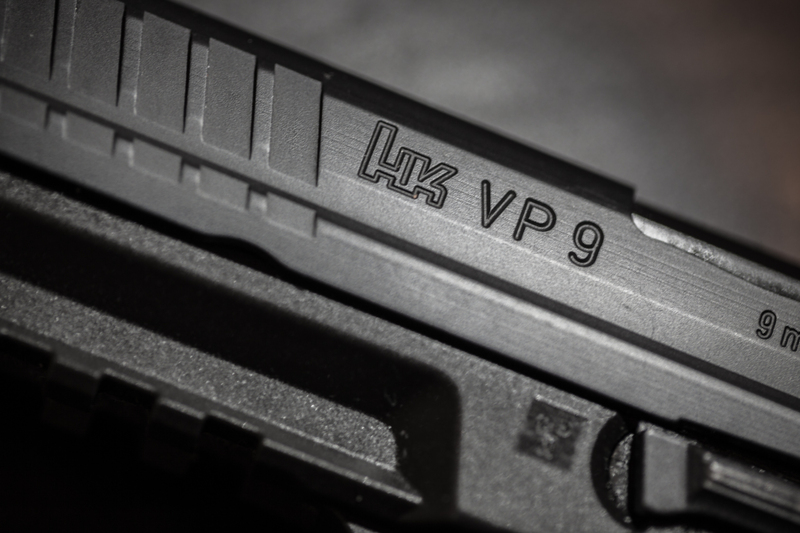 The best firearm for your home defense needs depends on a few factors. Your skill level, the arrangement of your home, and of course potential threat. I’ll break down how these factors apply with each major category of firearm. Whether it’s a wheelgun (revolver) or a magazine-fed pistol, you can’t argue with the utility of having a pistol for home defense. Pistols are easy to store in a safe location when not in use, and often you can purchase and employ a bedside safe to allow for the pistol to be easily accessed in an emergency. 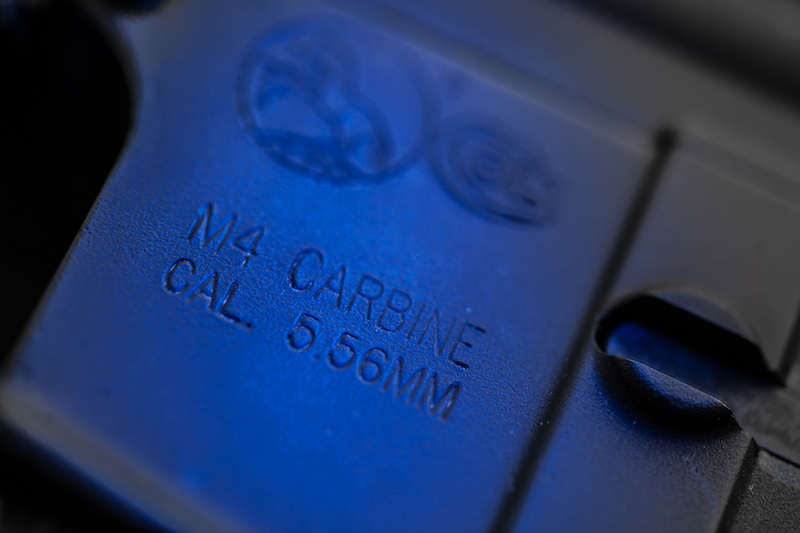 Your choice of caliber is largely dependent on your personal preferences. Modern hollow-point ammunition in the major common calibers (9mm, .40 S&W .45 ACP) will stop an assailant with proper shot placement. Also, hollow-point pistol ammunition is less likely to overpenetrate. What that means is exactly like it sounds - a bullet may not be stopped completely by an object in it’s trajectory, whether it’s the target, or a wall, for example. A hollow-point bullet is designed to stop and yaw (the bullet expands when it impacts) when striking a target, making it less likely to travel beyond the target. This is an important consideration, especially in an urban dwelling such as a condo or a townhome. If you miss your target, the bullet is going to keep going. You want it to stop when it hits a wall, for example, and not travel into another room or residence, where it could potentially strike someone not involved in the altercation. Remember, you are accountable for each bullet leaving your gun’s barrel. Pistols, due to their smaller frame, tend to require more practice for accuracy, though. A pistol is pretty much useful for all home defense situations, whether it’s in an urban area where maneuverability is a concern, or in a rural setting where it’s less of a problem. Compact and quick to deploy, you are most likely to go for the pistol first. It’s unlikely you will be keeping a rifle- or shotgun-sized safe next to your bed. The rifle. Whether it’s a traditional hunting piece, or a modern weapon like an AR-pattern gun, the rifle’s longer barrel allows you to engage the threat at a longer distance than a pistol. The larger “chassis” of a rifle also will allow an inexperienced user to more accurately place shots on target, especially with .223 & 5.56mm loads and their comparatively negligible recoil. The mass of the rifle soaks up the recoil somewhat, allowing for more precise shot placement. A rifle in a home-defense situation has some disadvantages, depending on your living arrangements. Overpenetration is the biggest disadvantage. The ubiquitous 5.56mm M855 “green tip” round will travel at over 3000 feet per second out of the barrel of your standard AR. The full-metal jacket projectile will overpenetrate, whether it’s against an assailant, or an intervening object like a wall or piece of furniture. However, there are many loads available to rectify this issue, such as the various Hornady TAP cartridges, Speer’s JSP, and Black Hills TSX loads. Another consideration is manipulating a rifle in close quarters. In an urban dwelling, narrow corridors are the norm, and a rifle with an overall length of nearly 3 feet (1 meter) can be problematic. 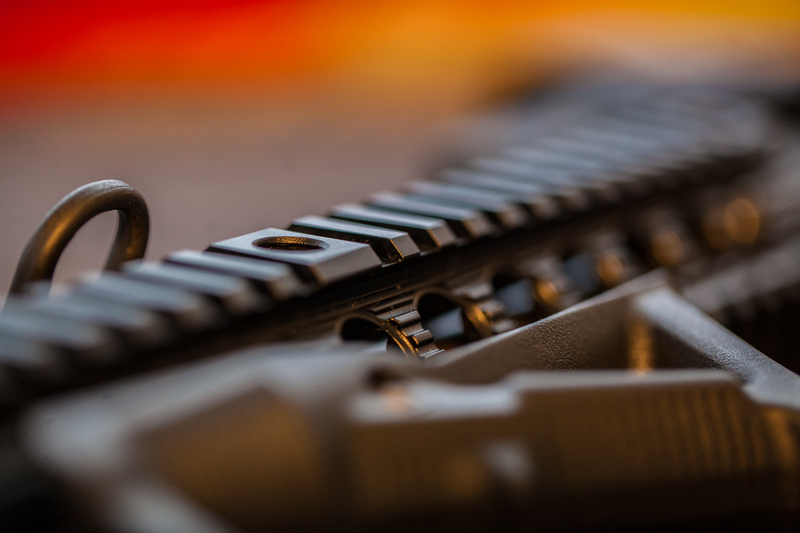 Of course, you have the option of setting up your AR with a shorter barrel, whether in “pistol” configuration, or doing an SBR build, with the requisite ATF paperwork. And, the longer barrel of a rifle also could allow a skilled intruder to make a grab for your weapon, potentially disarming you. In a rural environment, the rifle shines. Intruders could cross your property line and have a good distance to cross before they make it to the home itself. Having a rifle allows for engagement at a distance. You can neutralize the threat before they even get a chance to attempt entry. Note that you must establish that they are a threat before engaging them at anything beyond “bad breath” distance. In other words, make sure they are intent on attacking/invading, and not just accidental interlopers. Ah, the shotgun. Joe Biden’s favorite. Whether it’s Grandpa’s old Remington or a modern Kel-Tec KSG, the psychological deterrent of a shotgun cannot be argued with. Ammunition choice is rather simple. Buckshot is preferred, due to the spread effect, but accuracy is still required, of course. Much like a rifle, the larger chassis of a shotgun allows for less-experienced users to effectively manipulate the weapon. Also, for those in restrictive jurisdictions, shotguns tend to be the easiest weapons to acquire. While an AR might be verboten in New York City, the wonderful folk at 1PP usually have no issues signing off on a shotgun purchase. A shotgun loaded up with buckshot is less likely to overpenetrate as well. Objects may stop those pellets from sailing through walls and striking unintended targets. However, remember always what your target is and what is beyond it. For this reason alone, I don’t recommend slugs for home defense applications. Like a rifle, close-quarters manipulation becomes problematic. The length of the weapon might be an issue when traversing a narrow corridor, and yes, a determined assailant would find it easier to attempt a “grab”. 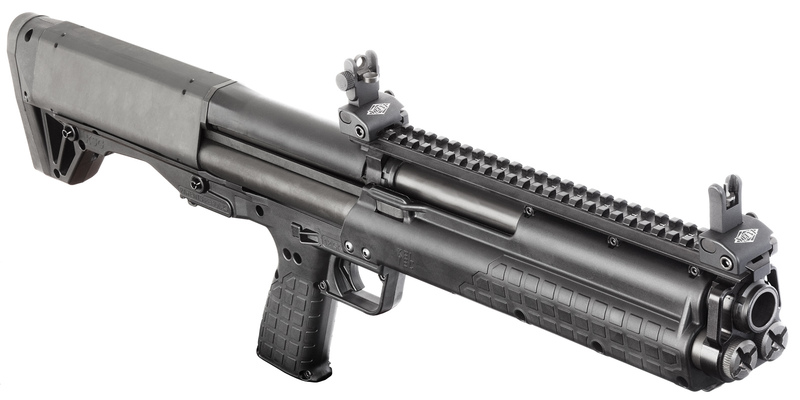 Yes, you can shorten a shotgun’s barrel, but there’s the attendant ATF paperwork and waiting time to make a short-barreled shotgun, or SBS as it is known. Recoil is definitely an issue. People of a more slight build may find it problematic. The shotgun has it’s advantages in both urban and rural settings, though with attendant disadvantages. Utilizing a shotgun rather than a rifle or pistol is really a personal choice in either situation. Whether it’s a pistol, rifle, or shotgun, there’s a universe of accessories you can bolt on to your firearm. Lights, lasers, bipods, and so forth. While all these have a utility in both recreational and professional firearms use, the surprise element of a home defense situation renders most of them useless. The only accessories I can recommend are night sights (Tru-Dot, etc…) for your chosen weapon, and again, a (already-mounted) suppressor. I feel a flashlight can betray your position, and a laser amounts to pretty much saying “Here I am, with a gun!”. Regardless of whichever platform you pick, there are some considerations that are universal when choosing to employ a firearm in a home defense situation. Firstly, the noise. As is obvious, the sound of a gun being fired is, well, loud. Your average unsuppressed gunshot clocks in at 160 dB, which will cause permanent hearing loss to unprotected ears. Some suggest keeping a pair of electronic earmuffs (the type which allow all noise below a certain threshold through) handy in your safe. However, donning those could cost precious seconds, which can be critical in a smaller home. Earpro in home defense is an individual decision. Do it if you can, but don’t rely on it. Of course, using a suppressed firearm is a solution as well, which is why I’m a huge supporter of the Hearing Protection Act. We should not have to wait months for the paperwork to clear on what amounts to a safety device. Suppressors on home defense guns renders the noise issue moot. Secondly, the potential for injury to yourself or others in the home. Even with a gun, a home defense situation may not be one-sided. The assailant could be armed with his own gun, or a knife or blunt object. Have a first-aid kit ready, and be knowledgeable on employing the contents therein. The fight may be over, but you or your loved ones could be injured. Thirdly, legal considerations. Sure, you are the victim, but sometimes overzealous prosecutors and police may attempt to paint you as a guilty party as well. Wes Denham wrote an excellent article on the legal ramifications of armed self-defense in Jacksonville’s Folio Weekly a few years back. I refer to it all the time. In a nutshell, if you are home and you shoot someone in self-defense - call 911, get the cops over there, and then let your attorney do the talking. You don’t want an accidental verbal misstep condemn you to prison. Yes, even in your home, this can happen. Lastly, you aren’t an executioner. It’s a fine legal distinction, but remember we shoot to stop, not to kill. If someone is in your home without your permission, you can shoot them. If they die as a result of your shots, you are legally in the clear, i.e. if they “bleed out”. However, if you shoot them, they fall, and they are no longer an active threat, you cannot administer a “kill shot”, i.e. a shot to the head. This turns your self-defense case into a murder trial. There’s no one perfect firearm for home defense in all situations. Your residence, your skill level, your personal preferences, and maybe even the laws governing firearms in your jurisdiction come into play. Strive for what best fits your situation, but always remember, the best gun for home defense can just be the only one you have access to at the moment.